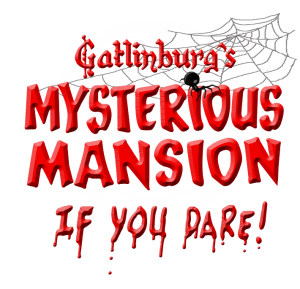 Mysterious Mansion of Gatlinburg is a Haunted Attraction located in Gatlinburg, TN. Many folks may think that the heart of Gatlinburg is a collaboration of stores, bars, restaurants and family activities that are littered along the main stretch. But, we’re here to inform you that a spooky mansion awaits, hidden within the outskirts of the surrounding woods. 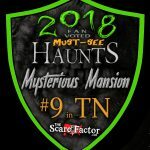 This estate is the Mysterious Mansion of Gatlinburg and, to date, it’s the best year-round haunted house that our review team has stepped foot in! 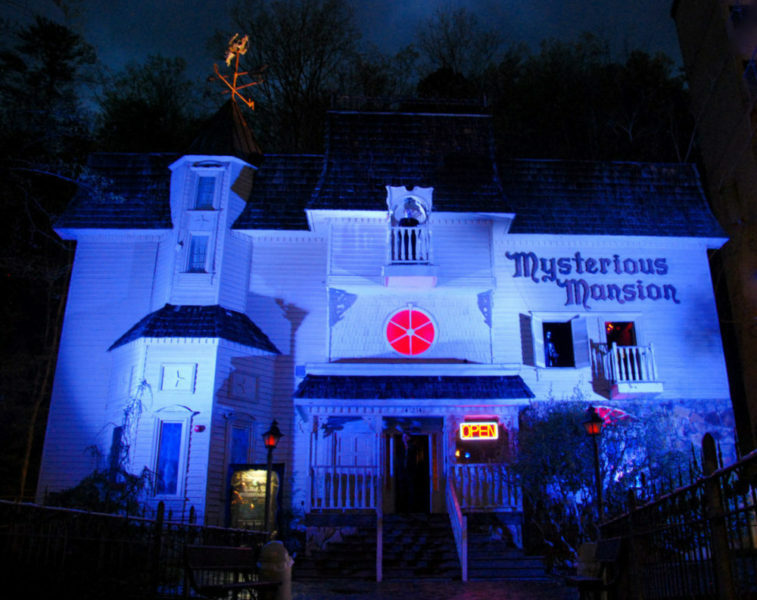 For those who absolutely love haunted houses, or if you just have a passion for Halloween, this is a must-see! When we set eyes on this place, it reminded us of the classic, spooky, haunted mansions similar to what you’d see on Scooby Doo! Only this one is not a cartoon, it’s real and it’s waiting for you! The thing to remember about year-round haunted houses is that there usually aren’t many monsters on-hand during the non-Halloween months. We know for sure that we encountered one actor during our visit but it’s possible that there were two or even more that we didn’t see. Regardless, the masked actor that we saw most of the time deserves some kudos! It was obvious that they were extremely familiar with every crack and crevice of the Mansion because they were all over our group! As soon as we thought we had gotten rid of them, there they would be again right on our heels and sometimes even above us! As many times as we came across this aggressor, they were able to hold it together, staying in character the entire time. Despite this actor’s attempt at keeping us on our toes, we feel like there may have been some missed interaction opportunities, mainly due to there not being anyone else available to show the different scares to us. Luckily, we had been paired with a group of 4 others and one of them claimed to be a past employee of the Mansion. At times, he showed us some well-hidden effects that we would have totally missed if it wasn’t for him. We don’t want to give too much away, but we can say that the attire worn by the main antagonist of this show did fit the theme of the mansion… well, at least one of the rooms (the kitchen). The mask was effective at hiding the actor’s face, but we would have loved to see them switch it out from time to time to better match some of the other scenes. Judging from the strangers we were grouped with, the look they used was quite sufficient… but for us avid haunt enthusiasts, a few quick-changes while darting around behind the scenes would’ve been welcomed. After taking a quick peek at the Mansion’s location on Google maps’ satellite view, we had no problems finding a close place to park (the lot charged $5) and getting to the Mansion. The entrance is pretty straightforward; you just go right in through the front door. A welcoming ticket window attendant greeted us and explained all the rules of the house. She was super friendly and willing to answer any questions we had. For those who like souvenirs, there is an assortment of items that are available at the ticket booth (we didn’t notice a separate gift shop). The small cemetery, random curtains blowing, ghostly carriage and realistic features of the mansion gave us a huge serving of anticipation as we stood gawking at everything. That was before we realized that, the longer we stood there, the more people walked past us and the longer we would have to wait before it was our turn. The Mansion relies on many old-school effects to please its visitors. Fog, dim lighting, some classic animatronics and the occasional strobe light was about as technologically advanced as it got. But, if you’re curious enough to venture onto one of the balconies that overlooks the foyer, you might get an extra treat! The sound effects were realistic and squeezed some extra creepiness out of the scenes. At times, they were enough to make your hair stand on end all by themselves! A plethora of scents are also used throughout, which added yet another level of realism to the scenes. We all know that it isn’t uncommon for an old residence such as this one to have stories of spirits that roam its hallways. Of course, this one is no different. Locals speak rumors of a past family that was plagued by dark secrets. During your visit, it’s possible that you may come across these residents, who still haunt the Mansion’s dark corridors. It is said to be a three story building with secret passageways, and that’s exactly what it is! There were a few things here and there that didn’t quite match the classic house as well as others, but it was very obvious that we were inside a house and that it had secrets waiting for us. Flickering lights, spooky sounds, the laughs of children and the fear of not knowing where the exit is are a small dose of what this old homestead has to offer. We are avid haunt enthusiasts and have been to a lot of attractions. Were we petrified? No. Were we traumatized? No. But did we jump? Yes! Did we let out a yelp or two? Of course we did! 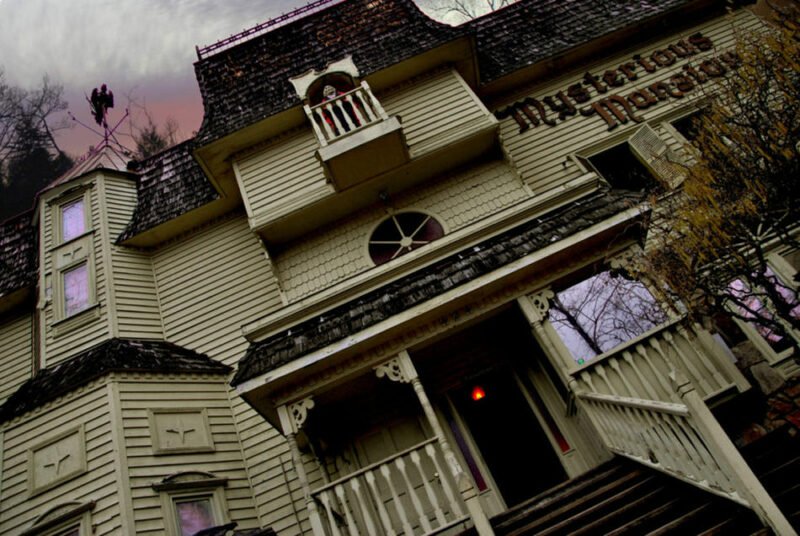 The Mysterious Mansion is known as “Gatlinburg’s oldest and scariest haunted house!” Having been in the business for almost 40 years (since 1980), they’re also a favorite that’s dearly beloved amongst haunt-enthusiasts across the country. 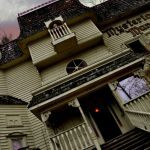 We tested our luck at 3 different year-round haunts during our trip to Gatlinburg and we’d be lying if we said that this one wasn’t our favorite. Tickets can be had for $15 at the door, or $1 off if you purchase online. They’ve got pretty good hours through most of the year and they’re open even longer as the Halloween season approaches. 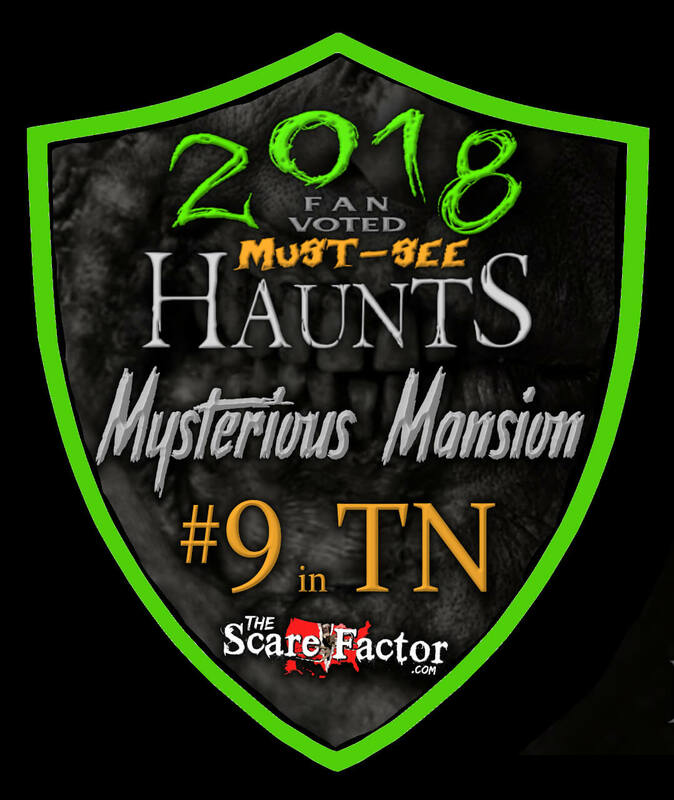 If you’re brand-new to haunted houses or just visiting the Gatlinburg/Pigeon Forge area, this is some of the cheapest and best bang-for-your-buck entertainment you can find. If you’ve never been to the Mysterious Manson before, it’s an absolute must-see that even the most avid haunt-goers can appreciate. Deep in the heart of Gatlinburg is a year-round haunt that is truly unique, an experience you won’t …show more soon forget. Unlike most haunted attractions, this one is quite interactive. You have to find your way through it. Most of the rooms have secret exits that you have to find while being scared by actors and animations, and what may appear to be the way forward can easily end up in a most frightful scare. 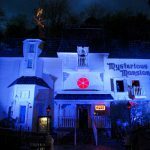 The entire attraction is themed appropriately to a haunted mansion–you’ll never end up in a scene that doesn’t make sense (like being in a house one moment and a tilted room the next). The scares ramp up as you go through, and even the waiting room is amazing. If you stop by the Smokies, do yourself a favor and go here. You won’t be sorry.